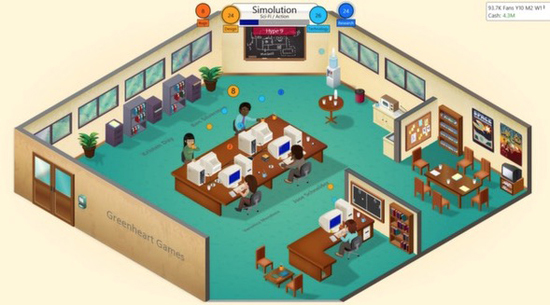 To celebrate the mobile release of Game Dev Tycoon a new hard mode has been added to the 2013 game. The mode was previously only available to software pirates. The new Pirate Mode was launched on March 8 in a patch. Players have to find ways to prevent loss of sales to piracy. You can add (DRM) digital rights management to your games protecting your games at the cost of angering fans. Piracy has been featured in Game Dev Tycoon but not in the Steam version. Just after the game launch, Greenheart Games uploaded a “cracked” version of their game to torrent sites. This version had been altered making it impossible to win using piracy. Now you can test yourself against pirates in the official build. Develope piracy prevention techniques and help stem the flow of dodgy downloads. This new version gives you the option of selling shares of your business. Plus you can now develop games for a new platform the Ninvento Swap it has bitter-tasting cartridges just like the Switch. Taking design tips from the new mobile version, Greenhart have cleaned the UI and added some quality of life features. 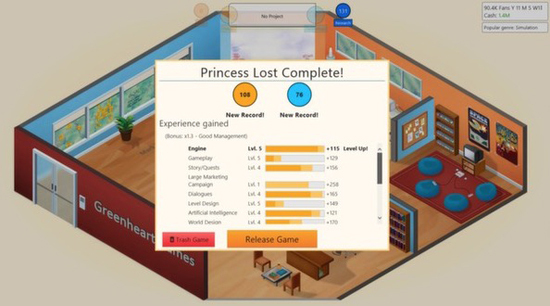 Find Game Dev Tycoon over on Steam - here.